very heavily coated, old brake dust? 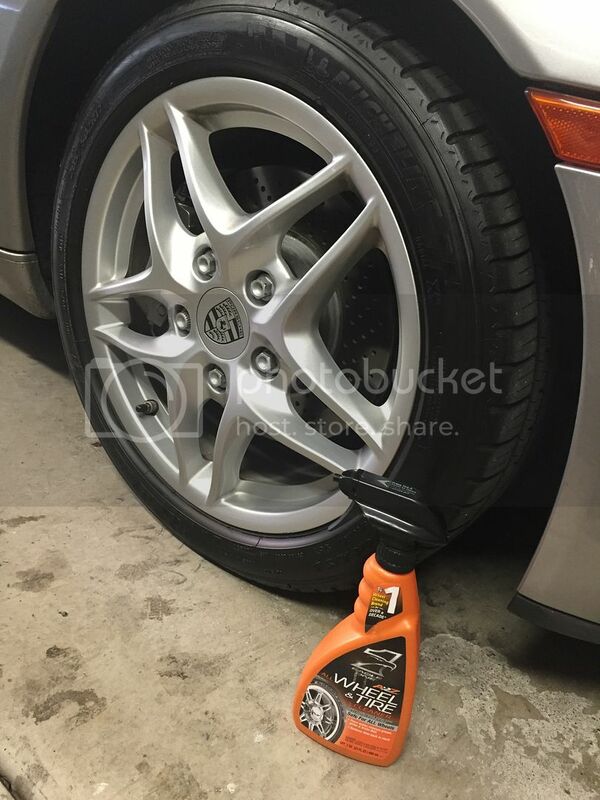 I have tried Maquiars all wheel cleaner, Car-Pro Iron-X and P21S gel. All to a good job of removing light or new brake dust. My rims seem to have old dust "baked" into them. I have tried adding light mild abrasive scrubbing as well. Gets them to about 85% of the result I want. Couple years ago I seriously thought the wheels would need resurfacing, powder coating. They looked that bad. Scrubbing them was little help. Spray it on, watch it change color from green to red, 3-5 minutes, spray off w/high pressure water at coin operated car wash. They came out looking like new, and I have spoke type wheels. Been using sonax for quite a while and it is a great product. I try to take the wheels off about every 15,00 miles ( which comes pretty quick for me ) and inspect the brakes, tires, etc and give the wheels a good cleaning with sonax and then a couple of good applications of wax. ...in the search for perfection?!? After repeated scrubbing w/various products still that had that type niggling trace, which is why I thought it needed resurfacing or repainting. Last edited by jotoole; 11-01-2015 at 05:34 AM. Ok, thanks! I'll gave Sonax a try. BTW, I just went out and gave the trouble spots a mild wipe with Maquiars compound. Seems to work pretty well. When I have time I may go back more thorougly. Last edited by JayG; 11-09-2015 at 05:24 PM. 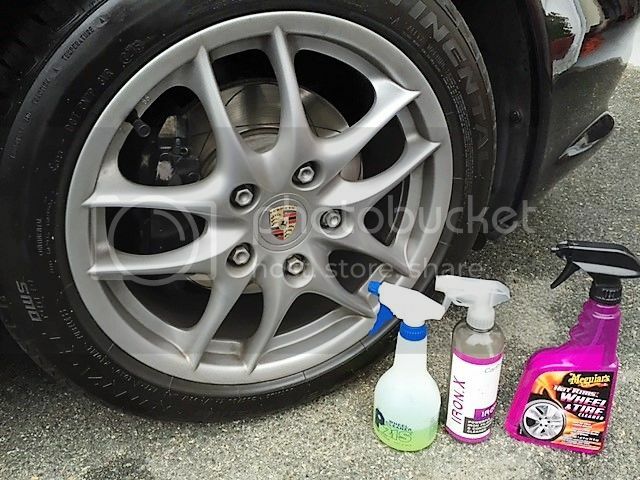 Just wax your wheels and very little dust will adhere and what does will come off with water. Yep, but no sense waxing them until they are cleaned up to my satisfaction. Some wouldn't care, and my car is 12 years old and hardly ready for a concours - but clean, sharp wheels make any vehicle, no? The slicker a surface is the less sticks to it. I use old clay bar for tough wheel stains. Then wax. Thanks for all the suggestions! And Timco, I didn't intend to hijack the thread. BTW, your wheels and calipers look awesome. And your Anniversary edition in GT Silver metallic with cocoa interior is one of my favorite color combos of all 986's. Just a beautiful Box! I'll have to try that, I've used Eagle One wheel products before with great results. It's a topic more than a thread. I have some products to try myself! 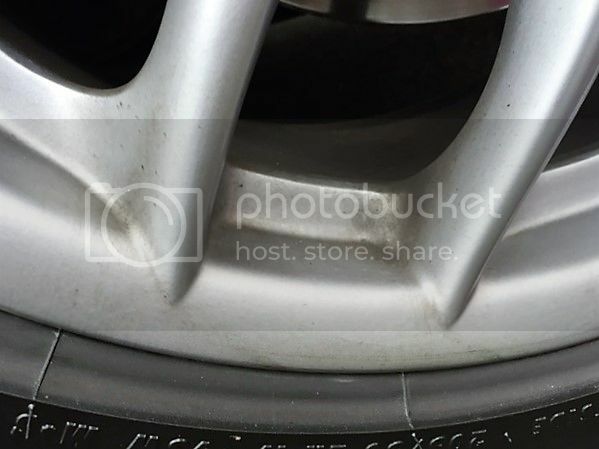 I've had great results from Sonax wheel cleaner plus, especially when applied to dry wheels. I only use it in really bad wheels, though, because of how expensive it is. 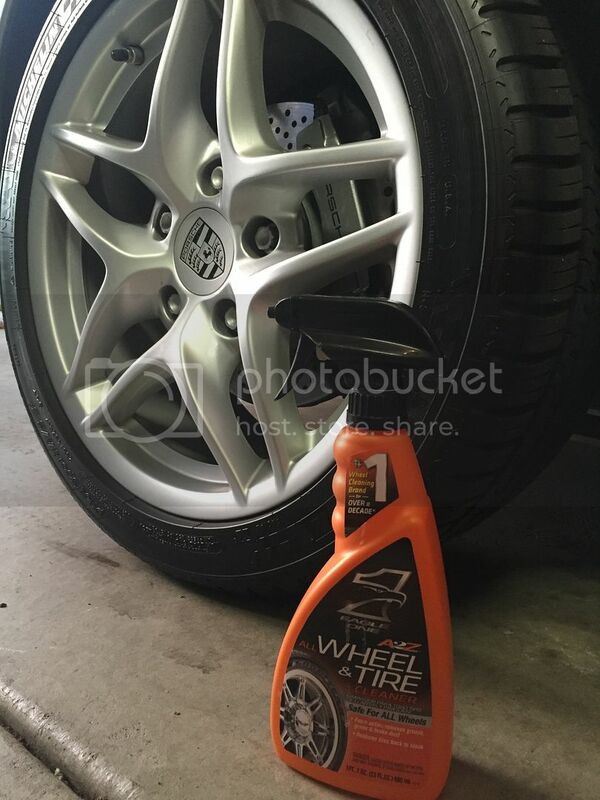 To maintain already clean wheels, I like to keep a layer of sealant on them and wash thoroughly and frequently with car wash shampoo. I use an EZ-detail style wheel brush to clean inside the barrels and behind the spokes. I use a 1" round pastry brush to clean the lug nut holes. I'm experimenting with using spray-on quick wax after the routine cleaning, to keep a good sealant going on them. If you can get a great product over the counter I consider that a plus over a boutique brand that requires you pay shipping or requires you place a larger order to get free shipping.